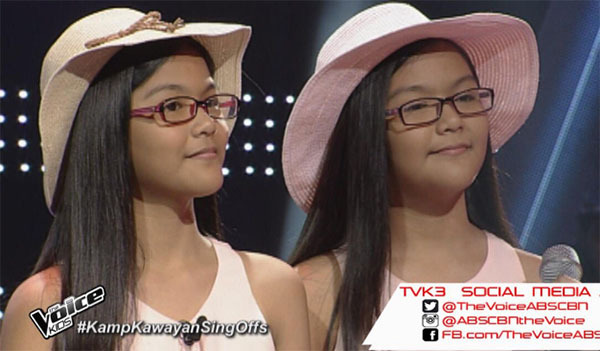 Ezra and Elisha Villaluz sings ‘Brown Eyes’ on The Voice Kids Philippines Season 3 Sing Off Rounds on Sunday, August 14, 2016. “I know there’s a mistake. But over all it was a great performance,” said coach Sharon. “You perform well,” said coach Bamboo. What can you say about Ezra and Elisha’s performance? Share your thoughts and views on the comment section below. The top 8 artists of Team Bamboo will perform a song of their choice tonight. Only three will advance to the Live shows and the rest will be eliminated.